The girls’ team have been training twice a week since our project started and have improved immensely. 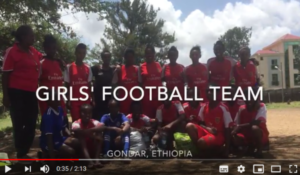 They have been eager to compete against other teams, but as the only girls’ team in Gondar, it was hard to find an opposing team! We were delighted then that last month, the team were able to play two friendly matches against other teams. They won a friendly against Abajale Sub-city Team 2-1. Their second match against Fasil Kenema B team (a professional team) was a different story, with our team defeated 8-1. Fasil Kenema have been training for eight years, and scored eight goals, while our team have been training for one year, and scored one. So we’re banking on the fact that every year of training will get them one goal closer to winning matches! This project, in partnership with The Kindu Trust, aims to build the girls’ self-confidence, leadership and team building skills which will benefit them at school and in the future. In November we visited the girls to find out how they, their coach and their mothers thought the project was going. 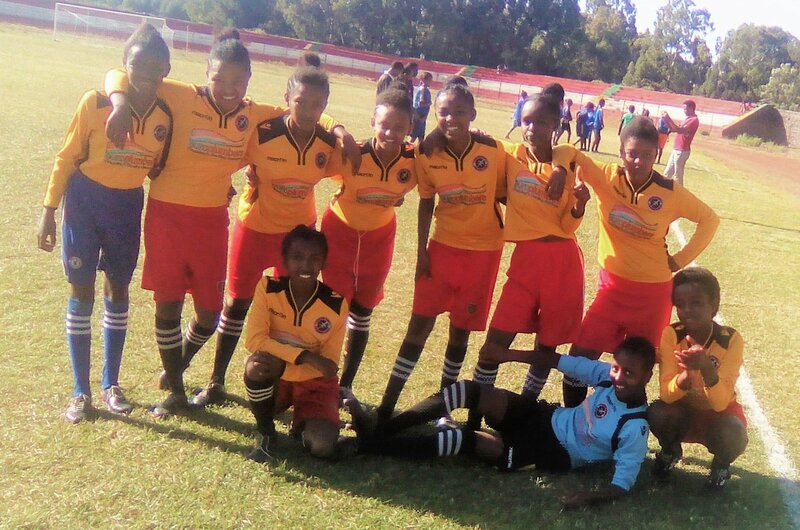 We want to continue supporting the girls’ training and to provide opportunities for them to travel to other cities where they can play against girls’ teams of their age. This project is run in partnership with The Kindu Trust and is funded from grants and donations. So far we have raised £1,000 and we are looking for another £2,000 to fund activities for this year! If you would like to support the girls’ football team project, you can make a donation by clicking here.